Everyone is looking to add more protein to their diet these days, but most protein-rich meal ideas out there feature large amounts of meat, eggs, or dairy that perhaps you’re looking to avoid. If you don’t want to eat as many animal products, however, it can be tough to find good sources of protein if you aren’t prepared. Many of you may already know that lentils are a great source of protein and they’re one of the best to choose if you’re not eating meat, eggs, or dairy. Lentils are high in amino acids, fiber, and many key minerals you need to build lean muscle including iron, zinc, and magnesium. 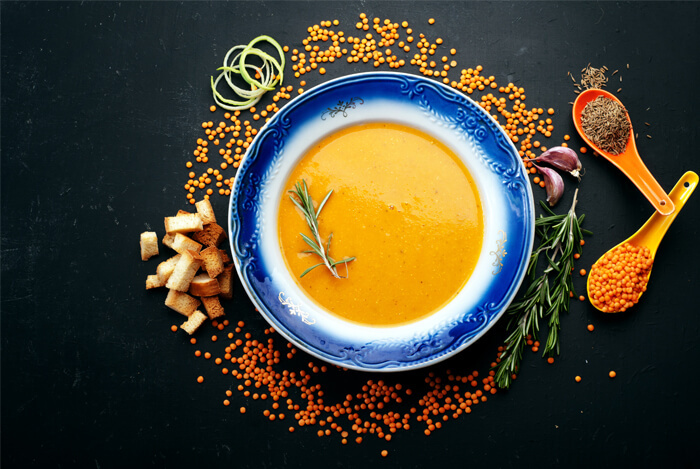 Lentils are also high in potassium, a mineral that helps reduce high blood pressure and can reduce water weight gain from excessive sodium or processed foods. Lentils contain 11 grams of protein per ¼ cup which equals about ½ cup once prepared. They also include 13 grams of fiber and only 1 gram of fat per ¼ cup of dry lentils which makes them an incredibly lean source of protein that will also promote a healthy heart and digestion. Opt for lentils next time you make a chili, soup, stew, or even a meatless casserole. You can also use them to stuff tacos with in place of meat, top salads with them, or use them anywhere you would normally use ground beef since they have a similar texture and hearty flavor. Hemp seeds are full of protein and they contain all essential amino acids which makes them a complete source of plant-based protein. 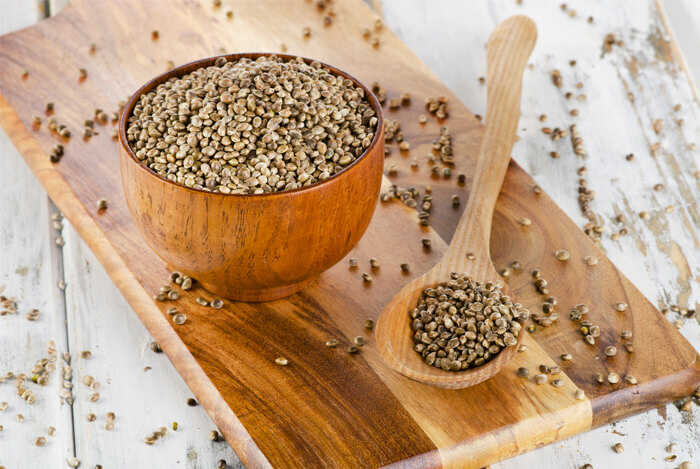 Three tablespoons of hemp seeds contain 12-14 grams of protein depending on the variety along with fiber, magnesium, potassium, and iron. In fact, hemp seeds are one of the best sources of plant-based iron and magnesium among all grains, beans, and legumes. They’re also nutty in flavor and enjoyable to eat. Look for hemp seeds at health food stores or feel free to purchase them online. Just be sure to keep them in the fridge or freezer like other nuts and seeds since their fats are delicate and prone to rancidity when stored on the shelf. 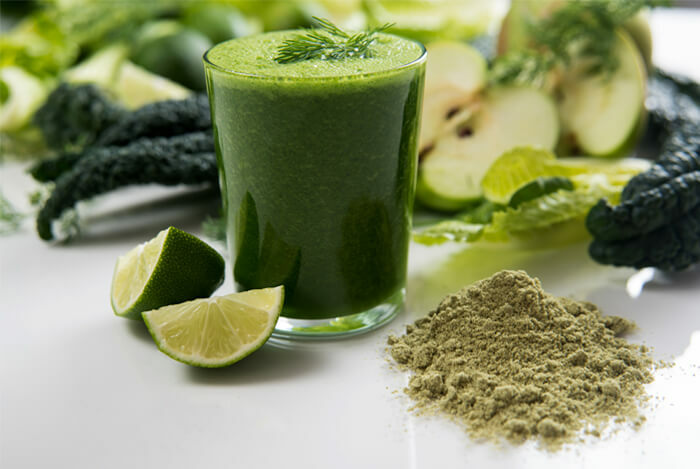 Add raw hemp seeds into your next smoothie or make your own energy bars and bites with hemp seeds. They’re a great replacement (or addition) to nuts and are similar in nutritional benefits. You can also add hemp seeds to salads, soups, baked goods, or use them in place of flour when baking. Almonds are a great source of Vitamin E, B vitamins, and they’re a decent source of protein for a nut. Almonds contain 7 grams of protein per ¼ cup which is about an ounce, or 22 almonds. Add some almonds to your next salad, eat them as a snack, or use almonds or almond butter in your smoothie or morning oatmeal. You can also make your own energy bars and bites with them and use almond butter in place of eggs and oil when baking. 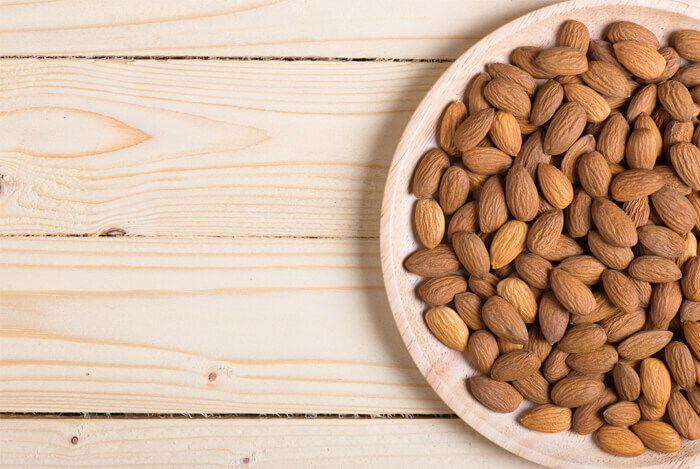 Since almonds are high in fat, you don’t want to overdo your intake of nut-based sources of protein and they can tend to cause a stomachache if you eat too many at one time. However, enjoying one serving of nuts and seeds per day is a great way to up your intake of plant-based, heart-healthy protein without eating any meat, eggs, or dairy products. If you’re not familiar with tahini, it’s time to familiarize yourself with this delicious, savory spread. Tahini is just ground sesame seeds, or sesame seed butter. 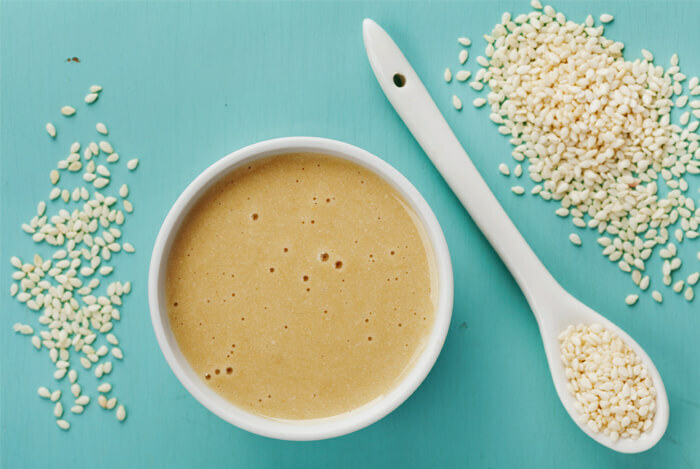 Tahini is packed with 15% of your daily iron needs and 8 grams of protein per 2 tablespoons, or about an ounce. Tahini is also a great source of magnesium, Vitamin E, and zinc to keep your hair, skin, muscles, and heart in optimal health. It makes a great replacement for peanut butter and almond butter if you don’t tolerate nuts very well, and it has a unique flavor that can be used in a variety of ways. Tahini has a delicious, savory and nutty flavor that makes it easy to enjoy in both sweet and savory dishes. It’s commonly used as a salad dressing ingredient and can also be used in porridge, smoothies, in hummus or other dips, or used anywhere you would normally use another variety of nut butter. Black beans are loaded with 15 grams of protein per cup and are a commonly loved food among bodybuilders and athletes looking to eat more protein. Black beans are also high in iron, magnesium, and antioxidants which makes them an overall healthy choice for a variety of reasons. Studies have also shown that black beans are useful for directly reducing inflammation in the body and improving digestive health. Beans are also some of the best foods for your heart outside of whole grains. A quick soak overnight will make them easier to digest and a quick rinse is all they need before cooking to ensure they don’t cause digestive upset. 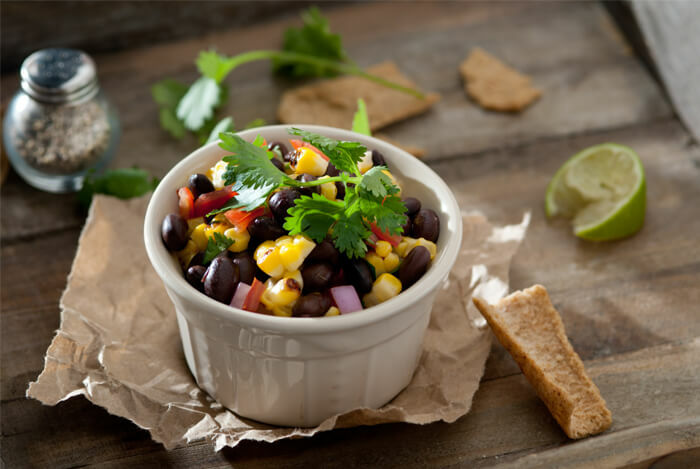 Black beans go great in Mexican dishes like tacos and fajitas, but that’s not the only way you can enjoy them; add some black beans to your next salad, stew, soup, or make a meatless burger with black beans. One of the best parts about using these beans in place of meat is their satisfaction factor and delicious flavor. They’re even one of the most popular varieties of beans eaten even among meat eaters since they’re so delicious! Amaranth is a grain-free seed but it cooks just like other grains such as rice or oats do. Amaranth is rich in iron and also packed with protein like most seeds are. It has a nutty, earthy, and slightly sweet flavor and contains 8 grams of protein per ½ cup of cooked amaranth, or ¼ cup uncooked seeds. It also doesn’t need to be soaked like some grains or beans do before cooking, so it’s great if you enjoy eating quick-fix meals. 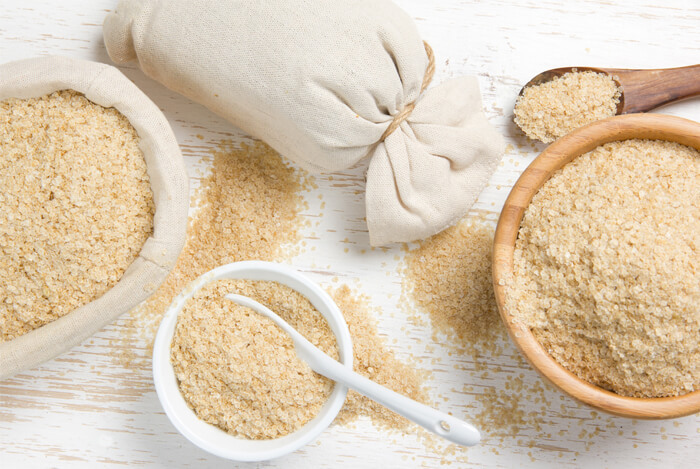 You can find amaranth in the bulk section of your local health food store, order it online, or you can find it in some more mainstream grocery stores where you would find other grains and grain-like seeds such as quinoa and rice. To eat amaranth, feel free to add it to any soup, stew, or cook it up as a pilaf like you would rice or quinoa and serve it with vegetables for a filling lunch or dinner. You can also use it in place of oats or mix it with oats next time you enjoy a hot bowl of porridge. Or, make popped amaranth which is a fun snack to enjoy that is similar to popcorn. All you do is pop the seeds in a heated pan just like you would regular popcorn kernels! 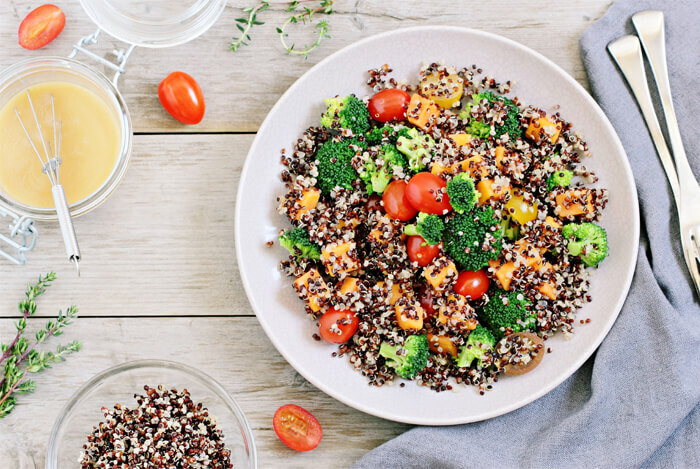 Quinoa is a popular grain-like seed that’s high in protein just like amaranth, and it’s a good source of trace minerals like magnesium and potassium. It contains around 7 grams of protein per ¼ cup uncooked quinoa, which is about ½ cup prepared. Quinoa comes in both flake and whole seed varieties, and it’s even available in many different colors such as red, black, and white quinoa. The flake varieties of quinoa cook up like oats do, or you can use them in place of oats in dishes like meatless burgers, soups, stews, and casseroles. Whole quinoa seeds cook up like a rice pilaf and can also be cooked into a warm porridge at breakfast just like oats can. Be sure that if you use the whole seed form of quinoa that you buy pre-rinsed varieties or give it a really good rinse before using it. Quinoa contains a compound known as saponins on the outside of the seed which can be bitter and cause digestive issues if not rinsed before cooking. Oats are one of the best sources of plant-based protein, but they’re also one of the most overlooked sources at that. While they’re not a complete source of protein, they contain higher amounts of nutrients per serving than most other grains and grain-like seeds. 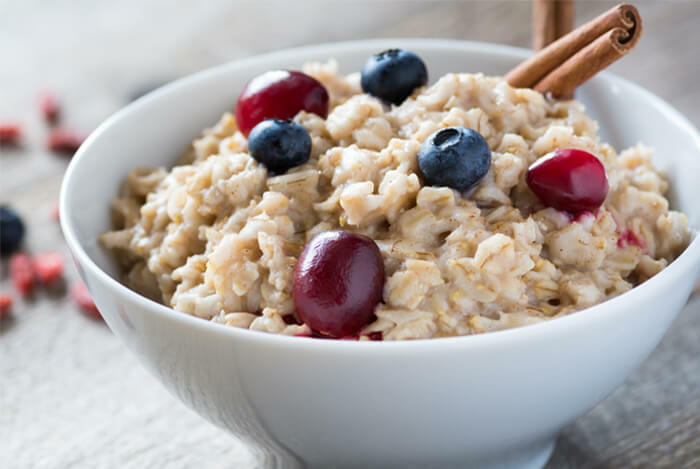 Oats are one of the best foods to reduce cholesterol, they’re generally easily tolerated, and they’re high in fiber and extremely filling which will help keep you full a longer time than lower fiber grains such as rice. Oats contain 7 grams of protein per ⅓ cup, along with 6 grams of fiber and only 3 grams of fat. You can also eat oat bran for more protein and fiber which is the most nutrient-dense part of the oat grain. Finally, oats are also high in minerals such as calcium, potassium, magnesium, iron, and zinc. You can enjoy them in quick, rolled, or steel cut form, and they can be prepared in a variety of ways from soaking them overnight to enjoying them in baked goods or a hot porridge. If you don’t tolerate a lot of beans and grains, try a raw plant-based protein without fillers and additives if you’re looking for a quick and easily digested way to take in more protein. While whey protein has many health benefits, those looking to avoid dairy won’t be able to use whey protein in recipes like shakes and smoothies, so plant-based protein powder options fit the bill well. Plant-based protein powders can be used in smoothies, stirred into oatmeal, or even mixed with some chia or hemp seeds and almond milk with fruit to make a thick dessert protein pudding. There are limitless ways you can use them and they’re not just useful to athletes looking to eat more protein but may be helpful to a variety of individuals who are looking to add more protein to their routine. Eat more greens which are loaded with protein! Spinach contains 5 grams per cup and kale is also a great source along with romaine and wild greens like dandelion greens. 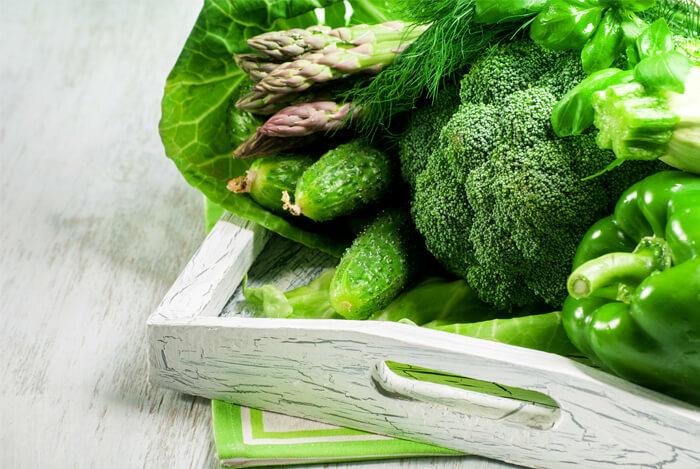 Common vegetables like broccoli and asparagus are also great choices; both of them contain around 4 grams per cup, and they’re a great source of fiber and B vitamins. Along with eating more protein, be sure you’re also eating enough complex carbs and healthy fats from whole foods, and be sure that you’re eating a variety of these protein sources instead of relying on just one or two at all your meals. What’s your take on getting in more protein? Have anything else you’d like to share? Let me know in the comments below!